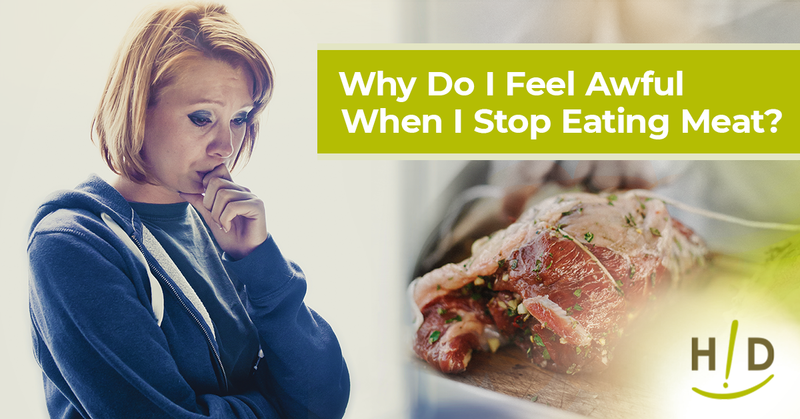 Why Do I Feel Awful When I Stop Eating Meat? Cheryl, what you are experiencing is normal. After decades of following the Standard American Diet, your body has become accustomed to the fatty meats – as well as the processed products, refined sugars, dairy and more – so removing them from your diet can automatically kickstart a change, even if it seems negative at first. It’s much like quitting anything cold turkey. 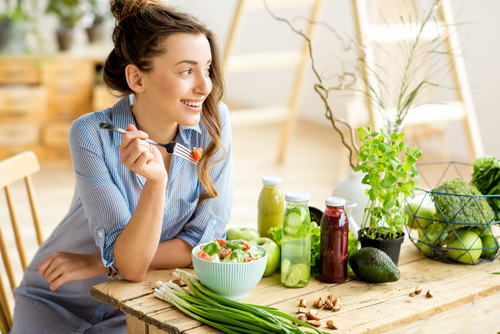 Thankfully, there’s good news: Your body will eventually get used to replacing unhealthy eating habits with a primarily raw, plant-based eating regimen. The Hallelujah Diet can fix your body after cutting meat out of your life. Beef and poultry are not the only options for protein. People do not realize that meat is loaded with toxic substances: antibiotics, growth hormones, accumulated poisons imbedded in artery-clogging fat, and more. Filling your body with such harmful substances can lead to chronic inflammation, heart disease and other debilitating issues that put a strain on aging. When a person stops consuming meat, the body goes into a cleansing (or detox) mode, as it begins to rid itself of these accumulated toxins. It sounds like that is what you are experiencing. This cleansing can manifest with a number of symptoms: mild headaches, fatigue, weakness, slight dizziness, mucous drainage, diarrhea, pimple outbreaks, etc, but is rarely debilitating. These detox symptoms mean that the body is getting rid of accumulated toxins. This is an exciting positive not a negative, because a person cannot regain their health until the body has had opportunity to rid itself of these accumulated toxins. Some people, not understanding what is happening inside their body during detox, will often revert to their former, toxic diet, thinking the new diet is lacking something their body needs. When they return to the old diet which contains meat, it almost immediately stops the cleansing and starts accumulating more toxins. Sadly, because of this experience, many won’t ever try the diet again. 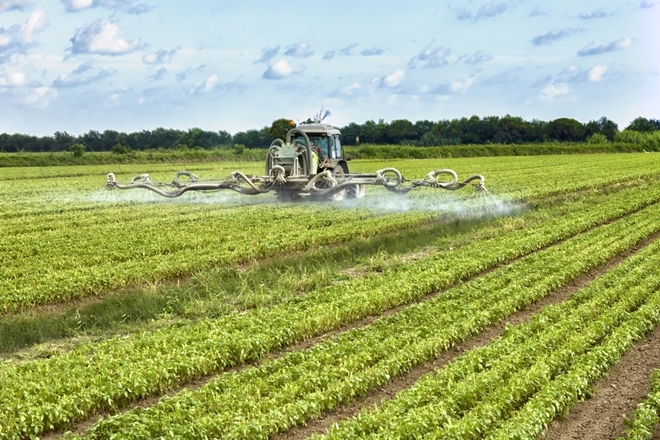 They continue to eat the toxic diet that will exacerbate current problems and eventually create new physical and even psychological problems, which ultimately lead to an early and untimely death. However, sticking to plant-based eating comes with an abundance of health benefits. If a person wants to get well they must first allow this detox to take place. Cleansing or detox symptoms, if experienced at all, usually last for a week or less, but sometimes a little longer. In fact, approximately 60 percent of the people who make the diet and lifestyle change Hallelujah Acres promotes don’t experience any noticeable detox symptoms. After the bulk of the toxins have been released, the person starts to feel better. Energy begins to increase, physical problems start to disappear, and mental fog goes away, and the body begins to slowly but surely rebuild itself cell by cell. On a primarily raw, plant-based diet, including lots of freshly-extracted vegetable juices, every cell in the body has been replaced with a new and healthier cell within a year. Another one of the incredible health benefits of cutting meat out of your diet is how easy maintaining a healthy weight and dropping excess pounds can become. Think about it this way: When you consume meats that are loaded with saturated fat and high in calories, you’re bound to gain weight, especially when these products are a huge staple in your diet. Cutting products like beef out of your diet eliminates a large source of saturated fats, which ultimately helps you keep excess pounds off when you replace the foods with healthier, plant-based proteins. An eating regimen like the Hallelujah Diet is perfect for someone who is looking to make a lifestyle change and lose a few pounds. When your diet emphasizes raw fruits, vegetables, whole grains, nuts and seeds, your body is fueled with foods that are more filling but lower in calories and fat. Maintaining a healthy weight doesn’t only make you feel more confident and comfortable in your skin; it also contributes to increased energy levels, boosted metabolism, improved immunity and reduced risk for multiple conditions like chronic inflammation, heart disease, stroke, diabetes and even certain cancers. If you browse through our testimonies, you’ll learn that many Hallelujah Diet followers have not only lost weight on our regimen but also found that symptoms of their diseases vanished. It’s truly incredible what fueling the body with the raw sustenance of the earth can do for overall health and well-being. It is an exciting phenomenon to behold. I often encourage folks, before they begin the Hallelujah Diet, to record in a journal all known physical and psychological problems they are experiencing, no matter how insignificant that problem. Then, following the diet and lifestyle change, record any changes each day. Some during those first days may be recording some detox symptoms. Usually, this is quickly followed by an energy increase, weight control, and disappearing physical problems, one by one until the entire body and mind function at an optimal level. That’s when the person shouts “Hallelujah” as they experience their health restored and have the journal entries to prove it! With doctors reacting like this, there’s no reason why anyone should continue to believe that standard American dietary guidelines are the answer. Once you take the time to understand that meat doesn’t need to be a part of your diet, your body will reap the health benefits by learning to cope with the change that comes with a plant-based diet. Cheryl, remember the key takeaway of this letter: You can stop eating meat. Help your body go through the natural detox with The Perfect Cleanse. 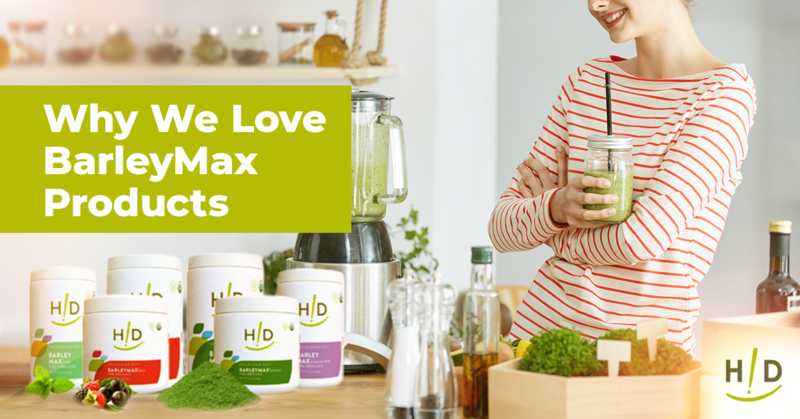 This kit comes with an abundance of juice powders that boost your energy and satisfy your body while preparing you for a lifestyle change. Once you’ve completed the cleanse, you can follow us on the path to better health with plant-based eating. Please take my advice to write in a journal about how you feel after changing your dietary habits. We can’t wait to hear about your results! What about Organic beef and chicken that does not have the antibiotics and hormones in it? There are so many important vitamins that are found in meat. Yea. This article is not true for everyone. If you have a blood type O or have a very common genetic mutation called C677T, meat is important for you to eat. Make sure a beef is always grass fed and chicken is always organic/antibiotic free. Never eat pork. Just like vegetables, it’s important to know where your meat comes from. I do not believe from all the research I’ve done and from being a vegan for over a year and feeling and looking horrible that being a vegan or vegetarian is for everyone. Read “eat for your blood type” and find out what blood type you are. Hi Brandon. Since good health starts with our diets, it is important to pay attention to how our bodies respond to what we consume! I have worked with Hallelujah Diet over six years and have heard many amazing testimonials to the power of a vegan diet and juicing. However, it did not work for you. We all must make educated decisions on what our bodies need, and it is good to hear other people’s experiences and the sources that have helped them. Thank you. I would eat meat but I’m more concerned of the ways the animals are treated its so inhumane. I thought for a long time eating Organic meat was better but they all go off to the same slaughterhouse and cop the same poor treatment. We need to stop thinking that we can’t survive without meat its just nonsense. So true im glad there are people that feel the same way as me. I have heard organic beef and chicken is okay to eat. I have been eating the HA diet way for the past 8ish months. I have still felt tired and weak and low energy. I then talked with a man who introduced me to muscle testing. This book will give you more info. : “The Utlimate Healing System – the illustrated guide to muscle testing and nutrition” by Donald Lepore. If you are able to test everything before you eat it, you can know if your body will take it or reject it. For me, my body needs a little meat and I am feeling so much better. I still eat two salads a day and still eating plenty of fresh fruits and veg. I haven’t been drinking cow’s milk and my calcium is high just by eating spinach leaves practically every day and I juice when I can. Some people just need a little meat – when I got tested my protein was way low and I had been eating beans and other plant based protein but that wasn’t enough. Hope this helps you! I was eating a few years ago, and for a long time I felt like I was going through withdrawal. with me very well and I am look foward to all its health benefits. I am thankful for this website. Actually God never intended us to eat animals or for animals to eat other animals. That happened after the fall. God gave fruits and vegetables for Adam and Eve and all other living creatures. God didn’t create those animals to be killed and eaten. He gave Adam the authority to look after the animals and care for them as we care for our pets. Then when sin came into the world God said that since humans have fallen from God and now have sin that he would give us certain animals to eat because most people would eat them anyway. also the animals started eating each other because of sin too. God cares about every living creature. do you not remember the ark? God had Noah save 2 of every animal, not to eat but to live and reproduce. do you really think God wants people to murderer innocent animals? or do you not know that every thing that breathes has a soul? just because God wont put us to hell for eating animals doesn’t make it right and it doesn’t mean that God likes it. would you eat a cat, dog or horse? then what makes cows, calfes, chickens, ducks, and pigs any different? theyre all the same. theyre all innocent. they all want to live happy and be loved. not tortured and slaughtered. Theyre killed for human satisfaction. Which is selfish. Does God want us to be selfish? Im sorry but if you cant personally have a farm and raise cows and chickens and then slaughter them with your bare hands and a knife then you have no business eating them. And if you could actually kill the animals yourself then you have lost a sense of love and morality for the innocent. B. Animals live on instinct. They live exactly as they were created to and therefore cannot sin. This is solidified in the Noah story since every animal, no matter the type, was preserved for reproduction, though the same was not allowed for humans. C. Certain animals are considered clean and unclean, meaning some are meant to be eaten and others are not. The Bible states 2 of some animals were brought aboard with Noah, but 7 of others. This is because some were intended to be eaten. Our bodies were not made to be whole without both meat and vegetables/fruits. While we do not need as much meat as most think, we do in fact need it. If we didn’t, supplements wouldn’t ever be needed for a person who is only eating one type of food. Additionally, there are certain vitamins we can only redeem from eating meats. A cow has several stomachs and is therefore able to process plants and redeem nutrients we could never get without eating the cow that first absorbed them. When it comes to meat eating, focus on the quality of meat, meaning grass fed, no GMOs, hormones or pesticides (organic), and free range. An animals ability to live a healthy life style does wonders for their nutritional benefit to us. Small amounts of quality meat and animal product are needed for a 100% healthy, supplement-free lifestyle. That is the scientific fact behind nutrition. If a persons reason for being vegan or vegetarian has to do with the killing of animals, then that is one thing, but please do not misinform the public that is it more healthy or what was intended. Those are feelings, not facts. Remember also that Jesus fed thousands of people fish and bread. The sea wasnt polluted back then, and the fish wasnt farmed and fed antibiotics either. I have been vegan for a few weeks and feel like i am missing something too. I am also O positive blood type. Thankyou for this information. Im having meat tonight, grassfed organic and not too much. Sorry read Genesis 1:29. God meant for us to eat plants and fruit. There are no slaughterhouses in God’s kingdom it’s not loving or kind. I don’t eat meat for my own reasons but my issue is vegans come off harsh on everyone who eats meat. This creates a hostile “war” between meat and vegan because your response while mostly correct comes off as people are stupid and harsh if not vegan? What about the 15 year old who is wanting to become a doctor or surgeon who actually saves Holman loves eats meat but is needed in society I mean your personal beliefs should mostly be yours what makes us all human you would then have to travel all over the world and speak to everyone personally to feel you have done anything of value. It won’t ever be a perfect world again unless it’s all wiped away. You have to encourage folks to eat vegan in a more cautious way as in people are blind to a lot eating meat from birth is so normal flossing is more of a drastic thing. Instead encourage with facts about healthiness and body nutrition. AWESOMENESS!!!!!! Teach the people Ashley!!!!!!! Word!! You are entitled to your opinion, as is everyone! I just have to say this. You guys are so wrong about people torturing animals when they kill them on farms and slaughter houses. And people do eat cats, dogs, and horses. Not me but other people do. When someone in a slaughter house kills an animal they aren’t laughing about it, a lot of them grieve over the animals that are killed AND they aren’t held up by their feet and dangled over a fire while they are still alive! They are killed as quickly and painlessly as possible. Everyone talking about the mistreatment and torture of the animals on farms and in slaughter houses obviously have been watching way too much tv. Good article and I really hope someone will address the comments too. This really encourages me. I started H diet 6/4 so I’m experiencing some of those symptoms. It was good to be reminded and encouraged. I really like the idea about writing it in a journal because often when we feel better we forget how bad it was before. My husbands blood pressure was high today is it normal for it to go up somedays? What can bring it down. I just happened to “fall” into my vegan diet after being sick for 5 days which left me without a appetite and bed ridden. I found myself watching countless documentaries on the food we eat and the industry….I was sickened to my stomach. When my appetite started to return I found myself avoiding meat all together and after 2 weeks I slowly phased out dairy products as well. After only 1 month I feel amazing and I’ve lost 3lbs without trying! I have had hormone balance issues for the past 3 years, being diagnosed with PCOS and severe PMS, which causes me to be irregular and have intense PMS 10 days prior to my cycle. This would leave me with only 2 weeks of feeling “normal” until I was right back in what I called “mother natures tornado”. I’m happy to report I have had NO, absolutely NO symptoms of PMS AT ALL!!! I feel like I’m reclaiming my body and it feels wonderful! I’m so thankful to God for the sickness which put me on the healthy path I’m on!! OMG tgo9583 i can relate to your story even the part of being sick in bed and watching docos. I too am thanking being sick so i had the opportunity to see the way animals are treated and how the factory farming of animals is contributing to global warming. Some of the documentaries i watched were some of the most disturbing things are even seen in my life it wasn’t for the faint hearted. I found myself not even able to watch the majority of them but i saw just enough to get the msg across. I am one week into being vegan and ill admit i feel like I’ve been hit by a truck. And this is someone who only ever ate ORGANIC meat and i haven’t had diary in years. Lets hope my second week gets easier. I disagree. While I think what the author says can sometimes be the case, certainly, I don’t think it always is. I think it is important to listen to your body. I personally need meat I have discovered, but have to keep reproving to myself. I only eat well raised, antibiotic and hormone free, ‘happy’ meat. Recently after three days of not being able to get out of bed and not knowing why I realized that I hadn’t eaten meat in a couple of weeks. I ate a little bit of turkey and felt soo much better and was finally able to function again!! Play around with some different dietary protocols perhaps. A variation of Paleo is what seems to work best for me. But remember that no matter what protocol you are following, it should always be individual and determined by what your body is telling you! Oh so the animals you ate were happily slaughtered? Kari4, I agree with you. You must listen to you body. I went vegan 3 times and every time after a couple of months I got super weak and it felt like my body was literally eating itself. And when I eat a little bit of meat I felt so much better. So for me too I know I need a little bit of meat, lots of fruits and veggies, a few nuts and seeds, and good grains like quinoa, kamut, spelt but no dairy, soy or sugar. I have eaten an all organic, gluten/dairy free diet for 5+ years and look/feel great. When I completely eliminated meat from my diet, I would eat plates upon plates of veggies/carbs/nuts/oils and still feel hungry/dizzy throughout the day. Also, within one month, my cholesterol levels were TOO LOW (cholesterol is needed to build hormones in your body). So, listen to your body and just eat everything in moderation, by serving size. This is what I have learned after trying every diet out there (paleo, GAPS diet, nutritarian, carb cycling). In response to those who believe they “need” meat, there are several things I would point out to you. First, meat is toxic to your body, even without added hormones and extras. Next, it takes a full year before your body has reset and you will have a whole new body. Also, the hallelujah diet is so muh more than just no animal products; it is 85%raw/15%cooked, and includes fresh vegetable juices and a varied diet of all different plant foods. The diet also, though, is a lifestyle. The way you eat doesn’t do everything; you also need plenty of pure water, exercise, sunshine, and bountiful sleep. Eating vegan takes plenty of work, and with today’s imperfect environment, is not perfect by itself. But with the alternative being consuming toxic and deadly products (made even more so by our compromised world), and living a life with sickness and expensive medical bills… I choose a healthy life. And I’ve chosen that for my family, as well. We have no regrets, even though it can be very difficult sometimes. If it makes you feel any better, when I was eating meat and would do a cleanse were I still ate meat but organic meat I was sick! Really sick! Obviously, organic meat and fish and dairy are not that great either. Every truly healthy person I know is not only a vegetarian but a vegan. I am talking about over sixty years old and free from having to go to the doctor all the time, and I only know one, a health food store owner in CA who like Dr. Malkmus figured out the formula a long time ago but it’s hard to talk to him and his followers because they believe in gods. I am not a vegan but I am convinced that I am detoxing from meat and because I am still not a vegan and I have bad days, like today where I know I better plan better and leave the dairy alone. I also came to realize that every time I do go through periods of veganism I will have detox systems but I would rather be detox sick than cancer sick so pray for me that I can get on the HA diet and stay there! I believe that God did not intend us to eat meat and have great admiration for vegetarians and vegans. Even the most organically grown plant foods out there still contain toxins or lack nutrients due to the soil they grow in, or the water & air they get. We can never get to eden conditions here on earth though we can try, then trust God’s grace over our lives, whether we are ill or healthy. Check out the Christian Vegetarian Association and their information on honoring God’s creation. I had severe arthritis in my hands and it was slowly invading other areas of this body as well…after a very short duration of not eating any meat, i noticed that the swelling and pain in my thumbs was diminishing…awesome…Now, after almost 4 months of no meat and very little dairy as well as no meat, I have no swelling whatsoever in my hands at all, no pain at all, even after working them all day; no disturbing symptoms of arthritis at all….I have also noticed much more energy and much less stomach irritation…all in all, i give it a 10! If I am not eating any meats and I am going through the detox withdrawal symptoms, is there anything that I can do to help me get through the ill affects of the detox? Does juicing help to curve the ill affects? Or maybe eating something healthy before bed or early in the morning before the withdrawal symptoms start. I usually feel the symptoms in the morning. Hi! I was just looking up withdrawal symptoms from meat and here i found you. the information here is very helpful. am understanding what i may have been going thru. unfortunately, for me, due to lack of planning, I’ve had meat in between which brings me back to square one. sigh. i do want to go vegan. i believe it is the Holy Spirit leading me this way. thank you for all this information and ways of coping. wow this is laden with false information. I can’t believe you’re making money off these horrendous lies. First of all literally everything in our world is full of toxic substances. Live in LA or NYC? your air and water is toxic. You ever used windex? you just breathed in many times the toxic amount you would get from eating meat. Why do we not die despite constant exposure to “harmful products”? Because our body is constantly detoxifying without this chemicals would accumulate and we would die ! I don’t know where you got this information from that detoxifying starts when you stop exposing yourself. It’s actually the opposite ! Just like if you take a look at a habitual drinker’s liver cell’s you will find much more detoxifying Endoplasmic Reticulum (Smooth ER) than a normal healthy person. I’ve been off meat for 3 weeks and the last 4 days have been unbelievably good! It’s absolutely insane how great I feel. The first week was rough, looking at my plate as if something was missing and without meat it was simply incomplete. I craved meat for the first while. Once I detoxified my brain from all the commercials, ads, my parents saying you need it to grow strong etc. I evolved. You can laugh and say that’s stupid but my brain literally evolved into a different perspective of what food is. At first I was doing this out of empathy for animals. That’s only part of it now. Now my energy is up, I do not get bogged down after eating, and I never feel “sick hungry”. Previously to cutting out meat for six months I seriously feared something was wrong in my intestinal track because I never ever had a regular bowel movement, and just over the last three days I’m normal again. I feel like my mental state has improved, I’m happier, cheerful in the morning, and I’m quick with jokes. This for me has evolved into seeing food as fuel not pleasure a debit swipe away. Yes, I’m still doing this for animals but the positive change this has done for my body I am forever grateful. I’m type O blood and so I feel the best I’ve felt since I was in my early twenties. My father is a diabetic and im trying so hard to learn all I can so that I can help him make the change. This is the best f#$king decision I have ever made in 34 years of life. I wish you all the best on your personal journey. I will not be able to cope without meat. I have srage 4 melanoma for 3 years now. Good shape, excercise a lot, healthy but eat quite a lot of meat although it is grassfed. With my diet I do a lot of juicing every day with a lot of supplements. This article is not meant for everyone and I will die if I dont eat my meat almost every day. I really hate this. Some people greatly benefit from a 100% vegan diet, others do not. I am one of those people. I have developed a panic disorder and dissociative symptoms as a result of not having the right types of fats in my diet (omega 3’s, 6’s)… yes, you can get these in other forms, walnuts, etc. I believe that if we are going to promote a vegan diet, we need to educate people about the consumption of time and mental energy that goes into a vegan diet. You may go hungry. I absolutely suggest easing into it (I did not…)… perhaps seeking help from a nutritionist or ayurvedic professional. My side effects have been so bad, so so bad. Mind you I do have a mental health diagnosis, but I never experienced panic and severe depersonlization like I had about 10 days after going vegan. My body does not feel right, I have sores on my tongue??? I have no idea 100% exactly what’s going on but literally 10 minutes after eating some fatty foods I started feeling much better. Anywho, sorry for the rant… I just don’t think we should promote one specific diet for all people because everybody is different and drastic diet changes can be dangerous, and sometimes life threatening (in my case). Cheryl S. Go see a doctor, explain the situation and have your blood checked. It is likely you have low iron levels. some of this is absolutely not true. the author assumes everyone eats meat containing steriods, antibiotics and other accumulated toxins. are you saying all animals, regardless of their upbringing, contain these substances? every cell in the body is replaced within a year? that’s either a lie or some very arrogant assuming. some of the organs in the body take YEARS to regenerate. not up for debate. it’s debatable if they are all capable of regeneration in the first place. i’m sure there is some good information in here somewhere, but a warning to all readers: the author is arrogant and obviously biased. this is not a venue for reliable information. i’m vegan, by the way, just not whatever kinda pseudo-science-loving vegan this editor wants to be. You are probably experiencing an iron deficiency. It includes many of the symptoms you mentioned. Because your new to veganism, your body is probably used to getting most of it’s iron from meat. I suggest you look for a vegan iron supplement. Also, consult your primary care physician as there can be a lot of inaccurate information on the internet. I think that nuts and nut pates help. Here is a nut pate (or loaf) called Confetti Veggie loaf. A scoop atop a salad is wonderful! Thanks, I thought it had to do with lack of protein. I am going to eat a lot of nuts and beans and fish and see if that helps. I woke up this morning feeling like I was really hungry and had a hang over. I am glad to know this is normal. I was really worried. Also, editor, could you please post your stats to prove that “60% of diet participants don’t experience detox symptoms” I call BS. One question why does it seem like I am eating more that i have taken meat out of my diet. The Hallelujah Diet, described by Rev. Malkmus, typically includes a huge salad at lunch and dinner. That salad is usually heaped up on a dinner plate, which is a lot of food. Are you eating more because of the bulk of salads or because you are feeling hungry more often? Listen to your body. Take advice from strangers on the internet with a grain of salt… Everybody is different! Often times people will try to impress upon others certain things because they have responded well to particular foods. Take me for example– I eat mostly fruit and veg both raw and cooked, but I also like to have meat a couple of times per week. Each time I eat meat my body responds extremely well to it (clean meat, nothing processed), and I feel great! Yet some people say that meat is a nightmare for them. So if you want to eat meat, and your body “likes it” then you should probably tuck in at least once in a while! Cheers. Well said, John. No one has it all figured out, even noted authorities across the web. My co-worker and I are always trying various foods to see which ones work the best for us. May people make the mistake of assuming that their body needs meat because of the negative things they experience when they stop eating me. They don’t realize that their body is detoxifying. Thank you for the article’s information and explanation. Keeping a journal before you begin the Hallelujah Diet and during and after the Diet is a major help. Plenty of good discussion above concerning not eating meat. Most of the time the withdrawal symptoms you experience are just temporary when you you begin to eat healthy. To me the killing of animals for our consumption is what made up my mind for me. Thank you for this extensive blog and the helpful information as well as feedback from everybody.We all have opinions and beliefs that we hold close.